Recently Josh has moved from Ontario and is now settling into the great province of Alberta. This year he will be competing in the World Amateur Championships in Spokane Washington as well as the Canadian Championships in Bracebridge Ontario. 2018.09.15 Treasure Valley Celtic Festival 4 38'8.5" 22.0lbs. 41'8.0" 16.5lbs. 32'0.0" 20.0lbs. 02:00 19'6.0" 116.0lbs. 77'0.0" 35'9.0" 129'5.0" 103'10.0" 15'0.0"
2018.08.10 Campbell River Highland Games 2018 2 35'4.0" 22.4lbs. 43'7.5" 18.0lbs. 27'0.0" 20.0lbs. N/A 76'11.5" 37'4.0" 125'7.0" 101'4.0" 15'0.0"
2018.07.28 NORTH AMERICAN SCOTTISH ATHLETICS CHAMPIONSHIP 6 35'10.0" 23.0lbs. 45'2.3" 17.0lbs. 30'0.0" 20.0lbs. 12:00 20'0.0" 105.0lbs. 74'1.5" 37'7.0" 115'5.5" 91'4.0" 15'0.0"
2018.07.20 Portland Highland Games 4 14'8.5" 96.0lbs. 45'8.0" 16.5lbs. N/A N/A 74'0.0" 34'11.0" 130'10.0" 108'5.5" 15'0.0"
2018.06.08 Utah Highland Festival 4 37'0.5" 22.0lbs. 46'3.5" 16.0lbs. 30'0.0" 20.0lbs. 11:30 16'6.0" 131.0lbs. 72'7.0" 36'4.5" 134'6.0" 106'11.0" 16'0.0"
2018.05.19 Victoria International Highland Games Challenge 8 34'6.0" 26.5lbs. 40'5.0" 17.0lbs. N/A 09:30 20'0.0" 126.0lbs. 74'8.0" 34'6.0" 131'4.5" 104'9.5" 16'0.0"
2017.05.20 Victoria International Highland Games Challenge 3 33'8.8" 26.5lbs. 42'11.0" 17.0lbs. N/A 12:00 20'0.0" 105.0lbs. 72'9.5" 34'10.0" 124'4.5" 98'7.5" 15'0.0"
2016.07.29 Glengarry Highland Games 4 N/A 39'8.0" 22.0lbs. 34'0.0" 16.0lbs. 11:15 20'3.0" 97.5lbs. 73'10.0" 35'5.5" 122'6.0" 102'3.0" 15'0.0"
2016.05.21 Victoria International Highland Games Challenge 6 33'10.8" 26.5lbs. 47'8.0" 17.0lbs. N/A 11:55 20'0.0" 105.0lbs. 73'5.0" 37'1.0" 119'8.0" 99'3.5" 15'0.0"
2016.04.23 Powassan Festival 1 N/A 45'7.0" 16.7lbs. N/A 11:30 22'2.0" 93.0lbs. 81'2.0" 35'4.0" 117'0.0" 98'8.0" 14'9.0"
2015.06.27 Alaska Highland Games 5 34'3.3" 22.0lbs. 40'2.3" 20.0lbs. N/A N/A 77'1.0" 39'0.0" 127'7.0" 101'11.0" 14'0.0"
2015.06.13 Utah Highland Festival 6 36'10.0" 22.0lbs. 42'7.5" 16.0lbs. 30'0.0" 20.0lbs. N/A 75'7.0" 35'3.0" 126'9.0" 103'1.5" 15'0.0"
2015.06.05 Bellingham Highland Games 5 36'11.0" 22.0lbs. 47'6.0" 17.0lbs. 26'0.0" 20.0lbs. 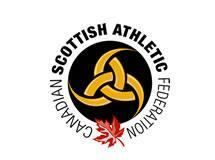 N/A 72'1.5" 36'0.0" 116'11.0" N/A 15'0.0"
2015.05.16 Victoria International Highland Games Challenge 8 30'0.5" 26.5lbs. 42'8.3" 17.0lbs. N/A 10:30 20'0.0" 105.0lbs. 73'8.0" 36'3.5" 118'8.5" 95'5.0" 15'0.0"
2014.08.30 Calgary Highland Games - Pro Competition 6 33'1.5" 22.5lbs. 42'7.3" 17.6lbs. N/A 11:00 19'0.0" 122.0lbs. 68'11.8" 37'1.8" 117'3.5" 94'9.8" 14'0.0"
2014.08.16 Bracebridge Highland Games 3 N/A 37'0.0" 17.9lbs. N/A 10:00 22'0.0" 96.0lbs. 74'0.0" 33'10.0" 114'6.0" 85'8.0" 15'0.0"
2014.07.12 Antigonish Highland Games 7 34'10.5" 22.1lbs. 42'2.3" 17.0lbs. N/A N/A 68'7.0" 35'0.5" 113'9.0" 98'4.5" 15'0.0"
2014.06.21 BC Highland Games 1 31'9.5" 26.2lbs. 42'5.0" 16.6lbs. 26'0.0" 20.0lbs. 10:30 19'0.0" 105.0lbs. 69'8.5" 32'0.0" 115'0.0" 97'10.5" 15'0.0"
2014.06.14 Top of the World Highland Games 3 N/A N/A N/A 11:15 19'4.0" 80.0lbs. N/A N/A N/A N/A 16'0.0"
2014.05.17 Victoria International Highland Games Challenge 10 28'9.0" 26.5lbs. 41'6.0" 17.0lbs. N/A N/A 69'7.3" 38'6.5" 119'11.3" 91'3.3" 15'0.0"
2013.08.17 Bracebridge Highland Games 1 N/A 43'6.5" 17.5lbs. N/A 12:30 22'0.0" 85.0lbs. 73'9.0" 36'7.0" 120'3.0" 102'8.0" 14'0.0"
2013.08.10 Fergus Scottish Festival & Highland Games 7 32'2.0" 25.3lbs. 43'9.0" 17.6lbs. N/A 11:15 19'4.0" 100.0lbs. 70'11.0" 38'2.0" 125'5.0" 103'8.0" 14'0.0"
2013.07.27 Enumclaw Highland Games WA USA 3 28'10.3" 23.0lbs. 39'7.0" 17.0lbs. 27'0.0" 20.0lbs. N/A 69'3.3" 33'11.3" 109'11.3" 93'2.0" 14'0.0"
2013.06.22 Coquitlam Highland Games 1 30'8.0" 26.2lbs. 44'7.0" 16.6lbs. 24'0.0" 20.0lbs. 11:45 19'5.0" 105.0lbs. 71'8.0" 37'1.0" 115'2.0" 93'10.0" 14'0.0"
2013.06.01 Bellingham Highland Games 6 N/A 41'0.5" 16.5lbs. 28'0.0" 20.0lbs. N/A 69'10.0" 35'9.0" 115'10.0" N/A 14'0.0"
2013.05.19 Regina Highland Games 3 31'2.5" 23.0lbs. 41'0.0" 16.2lbs. 27'0.0" 20.0lbs. 11:00 19'4.0" 98.0lbs. 69'7.0" 31'7.5" 118'7.0" 100'2.0" 14'0.0"
2012.08.25 North Lanark Highland Games 2 N/A 39'1.0" 18.0lbs. 30'0.0" 16.0lbs. 10:30 22'4.0" 90.0lbs. N/A 38'2.5" 120'8.0" 97'6.0" 14'0.0"
2012.08.18 Bracebridge Highland Games 2 N/A 40'8.5" 17.5lbs. 30'0.0" 16.0lbs. 10:30 22'0.0" 90.0lbs. 70'6.0" 36'4.5" 122'7.0" 106'2.0" 14'0.0"
2012.07.14 Fort Edmonton Highland Games 4 32'7.0" 23.0lbs. 41'8.0" 16.3lbs. N/A 12:30 18'5.0" 106.0lbs. 71'5.0" 35'2.0" 121'0.0" 105'6.0" 15'0.0"
2012.06.24 Ellerslie Highland Games 5 N/A 38'9.0" 16.3lbs. N/A 11:45 18'0.0" 105.0lbs. 65'10.0" 31'10.0" 124'1.0" N/A 14'0.0"
2012.06.23 Red Deer Highland Games 5 30'8.0" 23.0lbs. 38'6.0" 16.3lbs. N/A N/A 71'1.0" 33'1.0" 126'6.0" 103'0.0" 14'0.0"
2012.06.09 Grande Prairie Highland Games 2 33'8.0" 22.1lbs. 38'8.0" 16.3lbs. N/A 11:00 17'2.0" 95.0lbs. 70'2.0" 34'1.0" 127'5.0" 100'9.0" 15'0.0"
2012.05.19 Victoria International Highland Games Challenge 8 30'10.0" 26.4lbs. 37'2.0" 17.8lbs. N/A N/A 67'2.3" 32'3.0" 121'3.8" 98'11.5" 15'0.0"
2012.05.19 CSAF Canadian Championships (Victoria Highland Games) 8 30'10.0" 26.4lbs. 37'2.0" 17.8lbs. N/A N/A 67'2.3" 32'3.0" 121'3.8" 98'11.5" 15'0.0"
2011.08.20 CSAF Amateur Championship 2 N/A 38'2.0" 17.4lbs. N/A 12:00 18'0.0" 70.0lbs. 73'3.0" 36'5.5" 113'4.0" 101'3.5" 14'0.0"
2011.08.13 Fergus Scottish Festival & Highland Games 4 N/A 39'1.0" 17.6lbs. 32'0.0" 16.0lbs. 10:30 21'7.0" 91.5lbs. 64'3.0" 35'3.0" N/A 94'9.0" 13'0.0"
2011.06.26 Ellerslie Highland Games 4 N/A 36'10.0" 16.5lbs. N/A N/A 64'10.0" 31'6.0" N/A 93'1.0" 14'0.0"
2011.06.25 Red Deer Highland Games 4 30'0.0" 23.0lbs. 34'1.0" 20.2lbs. N/A N/A 64'8.0" 31'6.0" 112'9.0" 97'1.0" 14'6.0"
2011.06.11 Grande Prairie Highland Games 2 32'0.0" 23.0lbs. 39'6.0" 16.3lbs. N/A 10:30 17'0.0" 100.0lbs. 64'8.0" 31'5.0" 115'0.0" 97'3.0" 14'0.0"
2010.08.14 Fergus Scottish Festival & Highland Games 2 N/A 35'11.0" 17.6lbs. 28'0.0" 0.0lbs. N/A 60'8.5" 31'1.0" N/A 92'2.0" 13'0.0"
2010.08.01 CSAF Amateur Championship 1 N/A 39'1.0" 17.0lbs. N/A 12:45 20'4.0" 81.5lbs. 64'10.0" 31'9.0" 114'2.5" 95'7.0" 13'0.0"
2010.07.25 Highlands of Durham Games 1 N/A 37'8.0" 17.0lbs. 24'0.0" 18.0lbs. 11:00 18'0.0" 80.0lbs. 62'7.0" 30'10.0" 114'2.0" N/A 13'0.0"
2010.07.25 Glengarry Highland Games 1 N/A 35'6.0" 17.0lbs. 30'0.0" 16.0lbs. 12:00 18'0.0" 75.0lbs. 67'0.0" 31'6.5" 117'6.0" 97'11.0" 13'6.0"
2010.07.01 Embro Highland Games 4 26'7.0" 30.0lbs. N/A N/A 11:00 20'10.0" 76.0lbs. 64'5.0" N/A N/A 90'0.5" 13'0.0"
2010.06.12 Georgetown Highland Games 2 N/A 35'11.0" 17.8lbs. N/A 01:00 18'6.0" 89.0lbs. 56'9.0" 29'6.5" 112'3.0" 96'9.5" 13'0.0"
2010.05.29 Sudbury Highland Games 1 N/A 40'8.5" 16.0lbs. 28'0.0" 0.0lbs. 12:00 16'1.0" 69.0lbs. 61'0.5" N/A N/A 90'4.0" 13'0.0"
2009.08.22 North Lanark Highland Games 2 N/A 35'5.0" 17.0lbs. N/A 01:14 19'4.0" 74.0lbs. 64'8.0" N/A 105'6.0" N/A 13'0.0"
2009.08.08 Fergus Scottish Festival & Highland Games 1 N/A 37'10.5" 18.0lbs. 27'2.0" 0.0lbs. 06:09 19'0.0" 80.0lbs. N/A 27'1.5" N/A 86'7.5" 13'0.0"
2009.07.18 Cambridge Highland Games 2 N/A 35'0.0" 17.6lbs. 28'0.0" 0.0lbs. 07:08 18'11.0" 66.0lbs. 61'4.0" 29'5.0" N/A 92'4.0" 13'0.0"
2009.07.04 Kincardine Highland Games 1 N/A 36'2.0" 17.6lbs. 23'0.0" 0.0lbs. 01:14 21'2.0" 60.0lbs. 56'9.0" 28'2.0" 115'7.0" N/A 14'0.0"
2009.05.23 Greater Sudbury Celtic Festival and Highland Games 1 N/A 37'9.5" 16.0lbs. 28'0.0" 0.0lbs. 00:05 15'6.0" 70.0lbs. 51'10.0" 26'0.0" N/A 93'0.0" 13'0.0"
2008.08.23 North Lanark Highland Games 1 N/A 35'8.5" 17.0lbs. 30'0.0" 0.0lbs. N/A 54'4.5" N/A 113'11.0" N/A 13'0.0"
2008.08.16 Bracebridge Highland Games 0 N/A 38'8.0" 17.0lbs. 30'0.0" 0.0lbs. N/A 51'5.0" 25'0.0" 114'0.0" 91'0.0" 13'0.0"
2008.07.12 Haliburton Highland Games 1 N/A 32'7.5" 18.0lbs. N/A 09:06 19'6.0" 70.0lbs. 48'9.0" 24'5.5" N/A N/A 11'9.0"
2007.08.25 North Lanark Highland Games 2 N/A 35'8.5" 16.0lbs. 27'0.0" 0.0lbs. N/A 56'8.0" N/A 109'5.0" N/A 12'6.0"
2007.08.18 Bracebridge Highland Games 1 N/A 33'9.0" 16.5lbs. 28'0.0" 0.0lbs. 01:14 18'0.0" 60.0lbs. 58'5.0" 27'7.5" 110'4.5" N/A 12'0.0"
2007.08.11 Fergus Scottish Festival & Highland Games 1 N/A 36'1.5" 17.6lbs. 25'0.0" 0.0lbs. 00:15 19'6.0" 65.0lbs. 53'3.0" 23'9.5" 105'9.0" N/A 12'6.0"
2007.07.21 Antigonish Highland Games 1 N/A 38'2.0" 16.0lbs. N/A N/A 60'2.0" 35'9.0" 111'0.0" N/A 14'0.0"
2007.07.14 Haliburton Highland Games 1 N/A 34'2.0" 18.0lbs. 27'9.0" 0.0lbs. N/A 56'10.0" 37'2.5" N/A N/A 13'9.0"
2007.07.08 Kincardine Highland Games 1 N/A 36'0.5" 16.0lbs. N/A N/A 57'11.0" 37'6.0" 96'5.0" 78'10.0" 15'0.0"
2007.06.16 Veteran's Memorial Highland Games 1 N/A 33'7.0" 18.0lbs. N/A 00:00 19'0.0" 61.0lbs. 56'8.0" N/A 98'10.0" N/A 11'0.0"
2007.06.02 Celtfest Callander 1 25'9.0" 22.0lbs. 32'11.0" 16.0lbs. 20'6.0" 0.0lbs. 03:12 19'0.0" 74.0lbs. 54'6.0" 23'0.0" 104'6.0" 83'0.0" 10'6.0"
2006.08.26 North Lanark Highland Games 2 N/A 39'4.0" 18.0lbs. 26'0.0" 0.0lbs. 05:10 17'3.0" 60.0lbs. 48'8.0" N/A 98'7.0" N/A 12'0.0"
2006.08.12 Fergus Scottish Festival & Highland Games 2 N/A 34'2.0" 16.0lbs. 26'0.0" 0.0lbs. 01:14 19'6.0" 65.0lbs. 48'1.0" 20'8.5" 92'6.5" N/A 12'0.0"
2006.07.01 Kincardine Highland Games 1 N/A 30'6.0" 16.0lbs. 28'0.0" 0.0lbs. N/A 47'7.0" 28'9.0" N/A 74'9.0" 14'0.0"
2006.06.03 Celtfest Callander 1 23'6.0" 22.0lbs. 30'9.0" 16.0lbs. N/A N/A 48'5.0" 28'0.0" N/A 70'1.0" 13'6.0"
2005.07.23 Highlands of Durham Games 6 N/A 31'0.0" 16.0lbs. 23'6.0" 0.0lbs. N/A 42'2.0" 17'8.0" 88'3.5" N/A 10'6.0"